Marriage Will Change You: What Do you Want That Change to Look Like? This is a convicting question, and I'm not sure that the answer is immediately clear for many of us. Of course marriage changes us, but often those changes result in division and tension in our relationships, rather than deeper connectedness and reconciliation. So, how can we create positive change and stronger marriages? 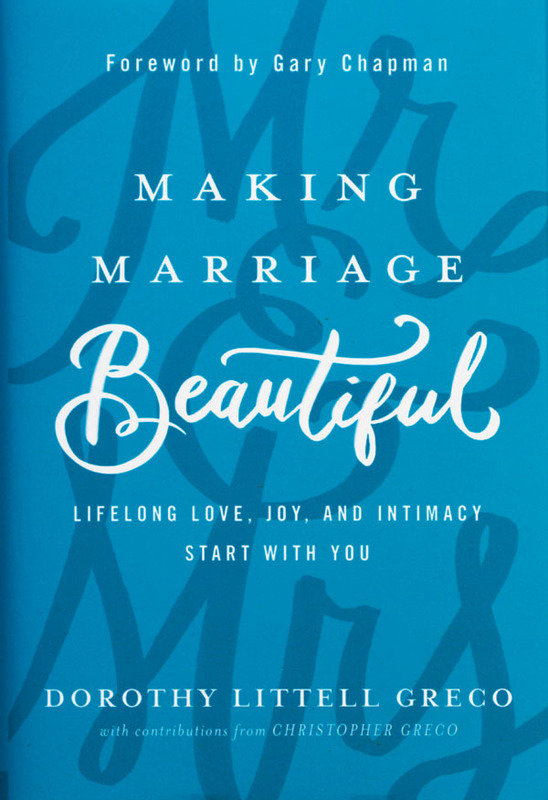 Reading Making Marriage Beautiful is a good place to start. Dorothy is a talented and honest writer. 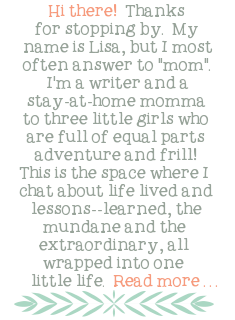 She is genuinely self-aware and willing to share with her readers what the difficult bits of her marriage have been. You often laugh along with her as she shares stories about things like "not putting extra spaghetti sauce on the table" when she and Christopher have one of their first dinner parties-- a choice that led to a huge argument early on in their marriage. We laugh genuinely with her because as ridiculous as it sounds, we all know that it's often the smallest things that lead to the biggest fights. We also know, it's never just about the 'spaghetti sauce', so to speak. So, what is at the root of those arguments? If we can gracefully and humbly dig deeper, reconciliation and unity can be the outcome rather than ongoing divisiveness. In this particular case, it was differing cultural "norms" that both Christopher and Dorothy carried into their marriage. While neither "norm" was "right" or "wrong", our pride can often let these small issues become big problems. 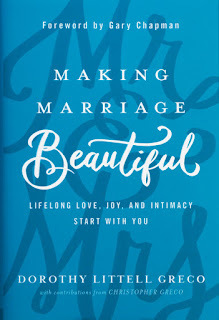 Throughout the book, Dorothy humbly and with great wisdom, digs into important issues that impact our marriages: Things like gender expectations, disappointments and anger, addictions, confession, forgiveness, choosing joy, and so much more. She offers a good balance of scripture (both convicting and encouraging) and personal story. She also includes one marriage story, outside of her own, to each chapter to help reader's connect to whatever the topic of that chapter is. I happened to have the privilege of spending some time with Dorothy and her husband Christopher at a church in the Boston area many years ago. They are a great couple, who love Jesus, and are passionate about ministry and helping other people in their journeys towards healing. This book was certainly born out of that genuine and authentic passion. While there are plenty of "fluffy" marriage and self-help books out there, this is not one of them. Many of the chapters prompted me to really take a look at the "baggage" I carried into my own marriage simply from my upbringing, and several unhealthy patterns I saw modeled in my parent's marriage. While none of this is to cast blame (my parents were living out of their own woundedness brought on by their own families of origin), the book encouraged me to take an honest look at these things in an effort to move more towards God's design for marriage, and in effect establish a new and healthier legacy for my own children. So, if you're ready to answer that question, "What do you want that 'change' to look like? ", grab this book and dive in. You won't walk away, unchanged. I promise. Here are a few (of many!) underlined quotes from my first reading of this book. It is a book I'll put on the bookshelf in our office and refer back to for years to come. Dorothy Greco and her husband, Christopher, have spent their entire twenty-five-year marriage helping men and women create and sustain healthy marriages. They have served numerous churches in the Greater Boston area for thirty years. 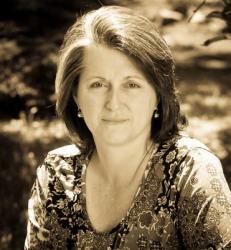 Dorothy's writing has been featured in "Relevant Magazine," "Christianity Today," "Sojourners," and "Her.meneutics." 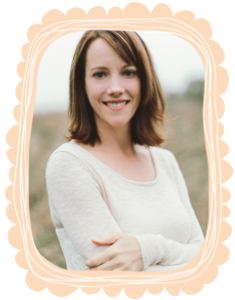 She is a regular contributor for "Gifted for Leadership," "Today's Christian Woman," and "Start Marriage Right." The Grecos have three sons and live near Boston. Disclosure: I received a free copy of this book from the publisher through the Litfuse Blogger program. There was no requirement for a positive review and the views expressed are my own. 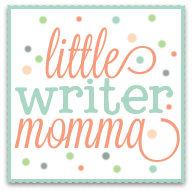 Control Girl: A Book Review and Giveaway!